Touted by 303 Products as the world's most powerful ultra-violet screening protectant, 303 Patio Furniture Protectant is effective for use on vinyl, plastics, polyethylene, fiberglass, epoxy, resins, stainless steel and powder-coated metals. 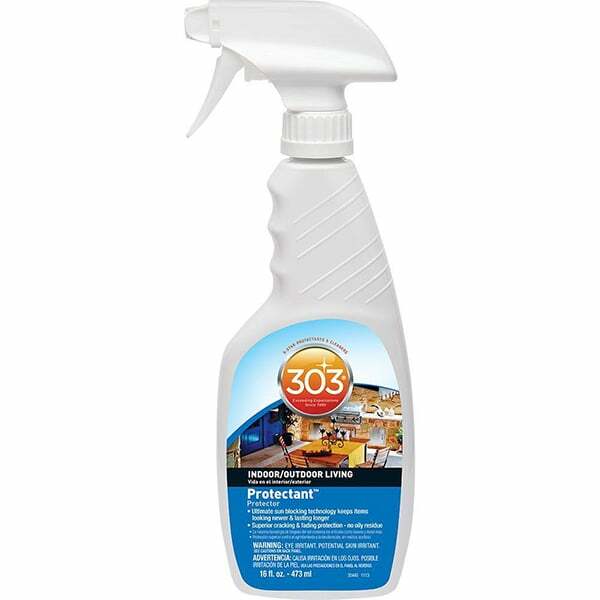 303 Patio Furniture Protectant will prevent staining from body oils, atmospheric contaminants and other sources. Although a non-toxic solution, this product is not for textiles, canvas, upholstery, carpet, floors and unfinished leathers. Be sure your patio furniture is clean before use; 303 Patio Furniture Protectant can help you achieve this goal!